in case any guitarists would like simply to "strum along". There is also a version for 2 flutes and guitar on musicaneo. 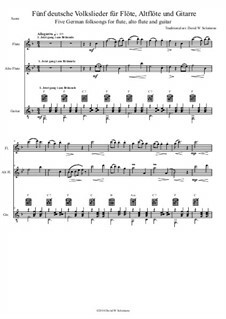 There are also versions for solo flute and guitar and for 2 flutes and guitar on musicaneo. 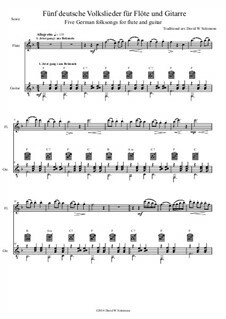 There are also versions for solo flute and guitar and for flute, alto flute and guitar on musicaneo. There are also versions for 2 clarinets and guitar and for flute and for 2 flutes on musicaneo. There is also a version for solo clarinet and guitar and also for flute and for 2 flutes on musicaneo. flute and for 2 flutes and guitar on musicaneo. 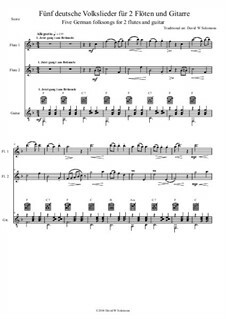 For flute and guitar Arranged by Solomons D.W.
For flute, alto flute and guitar Arranged by Solomons D.W.
For two flutes and guitar Arranged by Solomons D.W.
For clarinet and guitar Arranged by Solomons D.W.
For two clarinets and guitar Arranged by Solomons D.W.
For flute, clarinet and guitar Arranged by Solomons D.W.